Empty Bowls is an international grassroots effort to fight hunger. It is simple: Potters work to create handcrafted bowls. 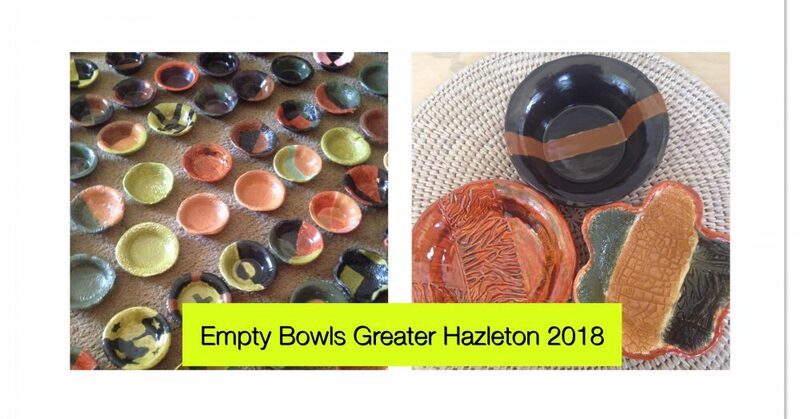 In exchange for a cash donation, guests enjoy a simple meal of soup and bread and receive a handcrafted bowl to keep as a reminder of all the empty bowls in the world. The money raised is donated to organizations working to end hunger and food insecurity. Events take place across the United States and in at least a dozen other countries. The largest hunger-relief organization in the United States, Feeding America, reports that the nation’s food banks could soon be overwhelmed by demand. Statistics show that 1 out of 8 Americans struggle with food insecurity every day. Millions of people have lost their jobs during the most recent recession and the number of food stamp recipients has increased dramatically. Your help is needed now more than ever. Please find the time, make the commitment, get involved. Your single effort can have a profound impact.